The Filipino ethnic group, the Igorot once more proves that they were not only rich in traditional Filipino culture. But, they even prove that they were also active in sports! Well, remember my Igorot runner friend RC which I have featured in my YouTube account during our 2016 Run United 2 marathon? Today, let yours truly Runner Rocky share with you another interesting and inspiring story of another Igorot pride but this time in the field of MMA. Get to know Eduard Folayang and his path to the world of Martial Arts! Why do you think he becomes the face of this kind of sports?! 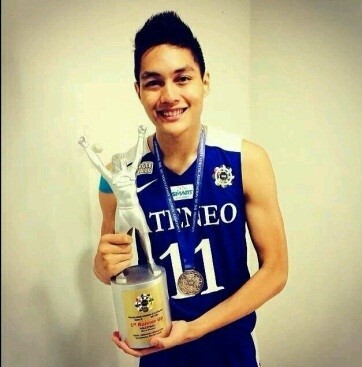 Rex Intal Shows Sports U What training is like for Ateneo's Men's Volleyball Team. Eduard Folayang has long been identified as the face of Philippine mixed martial arts (MMA), and the proud Igorot warrior is gearing up for the biggest shot of his mixed martial arts career in the upcoming ONE Championship event on Friday (November 11) against celebrated Japanese fighter Shinya Aoki. But before the fight of his life, Folayang sat down with the “Sports U” team to talk about his childhood, career choice, and what life has been as a MMA fighter airing this Thursday (November 10) on ABS-CBN. The eighth child out of nine children, Folayang had a modest childhood, with his mother being a fruit vendor in Baguio while his father farmed for a living. What many do not know is that the fighter was once a high school teacher in the Mountain Province before looking to mixed martial arts as an alternative career. Meanwhile, Ateneo Men’s Volleyball star Rex Intal also lets “Sports U” in on his workout as he shows the regular training regimen of the Ateneo Blue Eagles. Don’t miss this Thursday’s (November 10) action-packed yet heartwarming episode of "Sports U" with Dyan Castillejo after “Bandila” on ABS-CBN.